For quantity discounts, call (703-318-0838) or email (customerservice@trainingsolutions.com). This profile helps individuals understanding their DiSC sales style, identifying and understanding their customer's DiSC buying styles and adapting their DiSC sales style to meet their customer's needs.This profile includes 5 customer mappings. You will need a Wiley Electronic Profile Information Center to run this report. The PDF below is a sample report for you to review. This program uses EPIC credits. 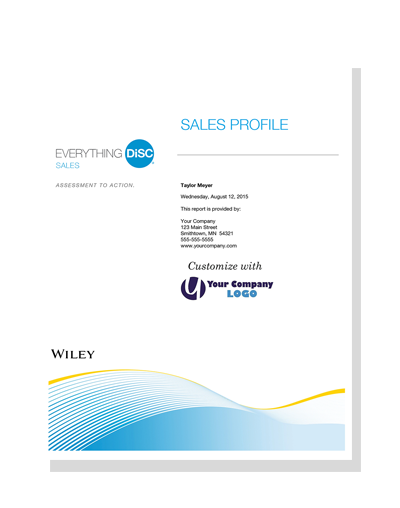 Everything DiSC® Sales is a registered trademark of Wiley.